Three weeks ago, Apple Inc. (NASDAQ:AAPL) reported earnings for the first quarter of its fiscal year 2015, and those results were astonishing. AAPL made history by reporting the largest quarterly profit of any company ever, at $18.04 billion. Much of the company’s record-breaking success came from impressive iPhone sales, which totaled 74.5 million for the quarter, a figure that benefited from the launch of the iPhone 6 in China. However, to maintain the growth investors have come to expect, the success of Apple in China is paramount. With much of the company’s focus on expanding Apple Pay across the globe, approval from Chinese government regulators must be a top priority. The biggest concern, then, is the details of the negotiations that would lead to said approval, and the concessions Apple would be required to make. According to CNN Money, “strict, new Chinese government rules will subject foreign companies to tailor their products for use within China — making them less secure.” It’s no secret that China’s government is ultra conservative and demands control over a large portion of citizens’ affairs, particularly with respect to the outside world, the Internet, and access to anti-Communist propaganda. To that end, foreign technology companies are prohibited from conducting business in the country without first divulging extremely sensitive proprietary source code, installing or modifying software giving back-door access to the government, and restricting the flow of cross-border commercial data. 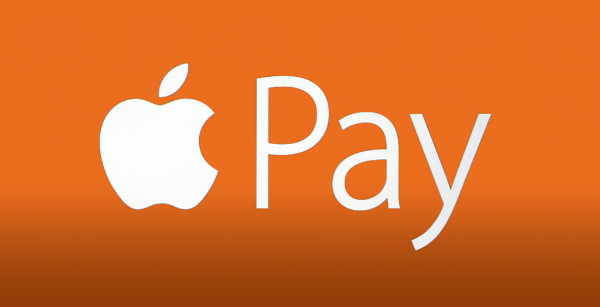 When it comes to Apple Pay, one of the highly touted benefits to using the service is the unparalleled protection of users’ personal and financial data. Consumers must trust that AAPL will properly handle their private details and credit card numbers. But, if Apple wants China to allow the new smartphone payment system, the concern would be the required use of Chinese-made encryption algorithms, rather than the existing, proven formulas AAPL has been using so far. In the wake of ever-increasing hacking and digital spying by governments around the world, an insecure mobile payment system is unlikely to gain much traction. Considering the letter sent to the Chinese Communist Party Central Leading Group for Cyberspace Affairs by the U.S. Chamber of Commerce, National Association of Manufacturers, and Consumer Electronics Association, it’s clear that American businesses recognize the danger and security risksinherent in the country’s rules for foreign businesses. With China having such a tight grip on its citizens — and unabashed demand for access to personal and financial data — can AAPL assure Chinese customers that their information is safe from prying eyes? If the planned global expansion of Apple Pay is to include China, what concessions would be required of AAPL before regulatory approval is granted? According to CNET, the NFC chips in the iPhone aren’t up to the Chinese government’s standards for sufficient protection of user data. Is that really the case? Or is the claim simply another in an apparently long line of intentional obstacles placed in the way of American businesses? Last summer, Chinese state media published an aggressive call to action, demanding that American tech companies such as Facebook Inc (NASDAQ:FB), Microsoft Corporation (NASDAQ:MSFT),Yahoo! Inc. (NASDAQ:YHOO), and Cisco Systems, Inc. (NASDAQ:CSCO) be “severely punished” for being pawns in the U.S. government’s espionage efforts. But, it’s not just tech companies that have become the target of aggressive campaigns to force out foreign businesses. Almost half of all U.S.-based companies in China reported feeling unwelcome and believe that American businesses are unfairly placed under the strictest scrutiny. The practice is an apparent continuation of the treatment dealt to Microsoft last summer, which has led to the company’s near-irrelevant hardware and software sales figures in the country. For Apple, China is its hottest new market, but with all things considered, it seems unlikely that the Apple Pay service will be permitted in the country any time soon.